Rachel is Office Manager at Reprise Construction Services. She's studying Criminal Justice at Gardner Webb University after having earned an AAS at Mitchell Community College. Rachel really knows her way around accounting, IT, and administrative assistance. She's a Notary Public, and she's our customer/client receptionist. And of course she takes care of the office staff needs and is responsible for procurement. She provides our artwork and photography when its needed. She's talented on a variety of instruments and loves to travel, especially on long weekend getaways. Sandor is the longest serving member of the crew with 25+ years of service. Prior to joining Ben’s crew, Sandor worked in several construction trades while being a full-time student at night. Sandor has an Architectural Technology degree from CVCC. In 1996, Sandor left the company to pursue a degree in Business Administration and moved to Raleigh as a Journeyman Carpenter. He obtained his degree and in 1999, rejoined Ben in Statesville. Sandor rose from the firm's first full time superintendent into the role of Project Manager, managing several projects simultaneously. Sandor has devoted many hours to continuing education gaining certifications through OSHA, restaurant design recognition including Serve Safe certification, and Lead Renovator certification. 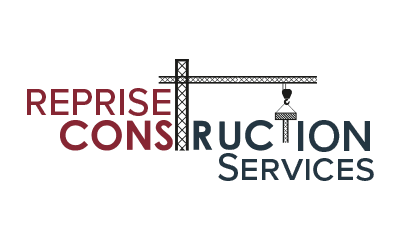 Sandor is now the Project Services Coordinator at Reprise Construction Services. As the hub of the company wheel, Sandor connects all the services the company offers with its resources, and he is liaison between company and customer. Sandor is a great motivator having spent most of his life helping people achieve their goals. Whether a backyard tree fort, a dream home or new kitchen, he speaks warmly of the great people he’s worked with over the years. His faith in God and bilateral loyalty to family and friends has planted him firmly in place where love and joy abounds. Ben manages the entire residential building program. He has a degree in Computer Science from NC State University. He is the major designer and CAD technician, and of course he keeps all the office equipment running. He was here at the beginning, and he will be here at the end. He is the heart and soul of the company. Ben is a NC Licensed, Award Winning General Contractor, a former Statesville Record and Landmark Reader's Choice Best Home Builder Award, and former NCHBA Local Builder of the Year. He loves God, his wife, his daughters, his crew, and his customers, and pretty much everyone else that he meets. Call him now at 704-902-4235 for a free evaluation and sketch plan of your project. Gary has been with the firm for 17 years. A former Marine, he is the Field Operations Coordinator. He keeps the job sites running smoothly with tactical precision, working out in the field full time to make sure everyone is doing their job. Yes he cracks the whip, but he does it in the most polite way. His work ethic is superb, and his pinpoint focus on quality is impressive, and his loyalty is unquestionable. There’s not a single person at the firm that does not look up to Gary. He trains the new hires as well, to be the best that they can be. A kind and generous family man, Gary continues to be a part of the Marine Corp family as well, actively serving in the Marine Corp League. His volunteer work is mainly comprised of serving the families of Marine Corp Veterans during the time of interment.